The Center for the Development of Recycling (CDR), established in 1989, is a university-based, non-profit, environmental research and service organization at San Jose State University (SJSU), stewarded by the SJSU Foundation and in association with the County of Santa Clara (CA). Through the CDR, faculty-managed students in the Department of Environmental Studies work on environment-related projects for businesses, government agencies, consultants, and non-profit organizations. One of these projects is RecycleStuff.Org, a web-based resource for those seeking to recycle and those who want to promote their recycling services. Having an easy-to-use but scalable website was critical to building and growing the recycling community that the CDR serves. When internal web development resources at the CDR were not adequate, an external development vendor was sought through Google search. Innovare Technologies was one of several companies considered for the website development project, awarded the contract after demonstrations of relevant and required expertise through previous cost-effective project solutions featuring strong usability. RecycleStuff.org was built using PHP, MYSQL, AJAX, WEB SERVICES AND APIs. Scalability and flexibility for future enhancements were critical in anticipation of expansion of RecycleStuff.org beyond Santa Clara County. The project was completed in 6 months and successfully launched at the beginning of 2015, resulting in referrals to other organizations in the recycling space (Eco-Catalyst, Inc. and the County of San Mateo) that ultimately became Innovare Technologies’ clients. Today, development for enhancements is on going, and the site supports another county and access to resources in all California counties. 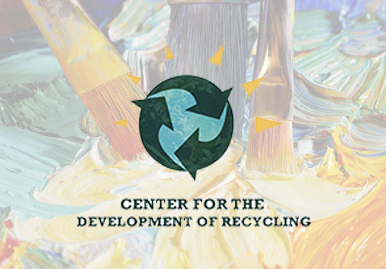 Learn more about the Center for the Development of Recycling and RecycleStuff.org.